Does The PRORECK Club 3000 PA Speaker System Have The Power Users Need? The PRORECK Club 3000 PA Speaker System is a system that looks like it should have everything that users will need in a home PA system. The speakers look substantial with the 3000w system and built-in woofers. There are plenty of stands and cables to help users set this up to their own needs at home. There is also the addition of the remote and wireless capabilities to help control the sound and functions more easily. It all sounds good, but what sort of experience do buyers actually get? 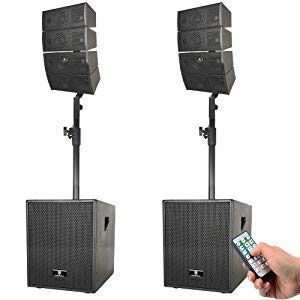 Does The Combo Set Of The PRORECK PARTY 15 Portable 15-Inch 2000 Watt 2-Way Powered PA Speaker System Offer Enough Quality? 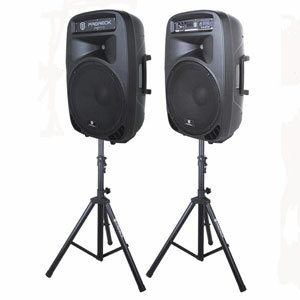 The PRORECK PARTY 15 Portable 15-Inch 2000 Watt 2-Way Powered PA Speaker System looks like a substantial pair of speakers for a range of occasions and have the sales claims and specification to back that up. This is a 15’’ 2000w system with a strong 15″ woofer and 1.35″ titanium diaphragm compression driver. There are also plenty of outputs and cables to ensure that this is a great PA system for events, gigs, speeches and more. It initially seems as though this system will have everything that users need to amplify their experience, but is it as good as it looks?